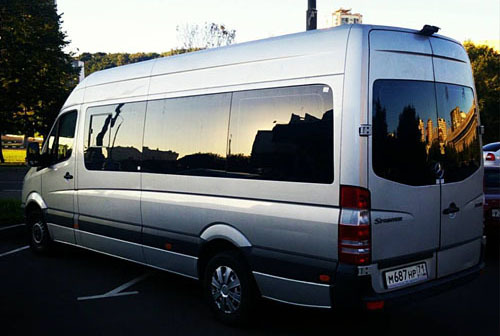 Nooze is documenting his Sprinter conversion in epic detail from Russia. Unlike many builds, he's opted for a compact toilet and shower cubicle and has forgone the under-bed garage typically seen in van builds. Long wheel base, high-roof van. Our first Russian on Vanspiration! I was very upset with metal walls in my van - they looks terrible. Scratches and random holes all around. But then i found out you can cover this panels with some glue end eco-leather material for cheap and easy! I love wooden floors and from very start of my project i decided that my floor will be wooden no matter what. I choose hardwood floor for total 180 euros. Under bed storage plus handmade cabinets, including at ceiling level. Useful info. Haven't spotted this kind of information in many other build blogs. Two slatted beds with storage underneath. 2x 200Ah AGM batteries installed. Lots of power! 2x Fan-tastic vents. It was quite long and tricky job to do, but with my friends we did it! Two fans now installed in the roof of my van. LED ceiling lights. New lights have much more power, separate switch buttons and looks much better! Also have LED lights in ceiling cabinets. Final part of shower/toilet cabin building in my van. With door installation! If you do nothing else, just watch the bit in the video from about 1:22. Submit your vehicle. All welcome!